When the first edition of this book was released, conservative Gardnerian Witches attempted to suppress it, claiming that it discredited their religion. Even though its first printing quickly sold out, the original publisher, faced with death threats and boycotts, agreed to abandon the project and no other publisher has dared to reprint it before now. Dr. Aidan A. Kelly has thoroughly investigated the history, rituals and documents behind the evolution of modern Witchcraft and has concluded that Gerald Gardner invented Wicca as a new religion. Although Wicca claims to be a persecuted pagan religion dating from before the rise of Christianity, it draws upon controversial historical sources, modern occult practices, including those of Aleistair Crowley and the Hermetic Order of the Golden Dawn, 19th century translations of medieval grimoires and the poetry of Gardner's priestess, Doreen Valiente. This extensively revised edition contains new research which was unavailable at the time, as well as detailed textual comparisons of Gerald Gardner's own manuscripts, magical books and rituals that could not be included in the earlier edition. It contains contributions from people who helped Gardner create modern Witchcraft and looks at the sources of his inspiration. Both liberal Wiccans and religious scholars hailed the earlier book as a classic in the new field of Pagan Studies. 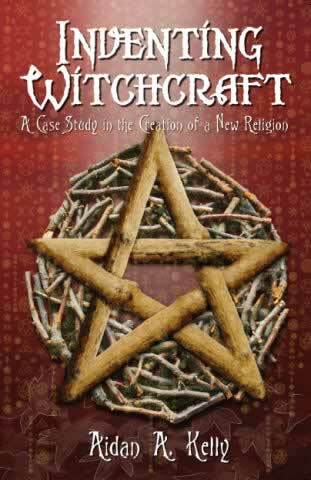 This revised edition is a must-have for anyone interested in Witchcraft and modern religious history.